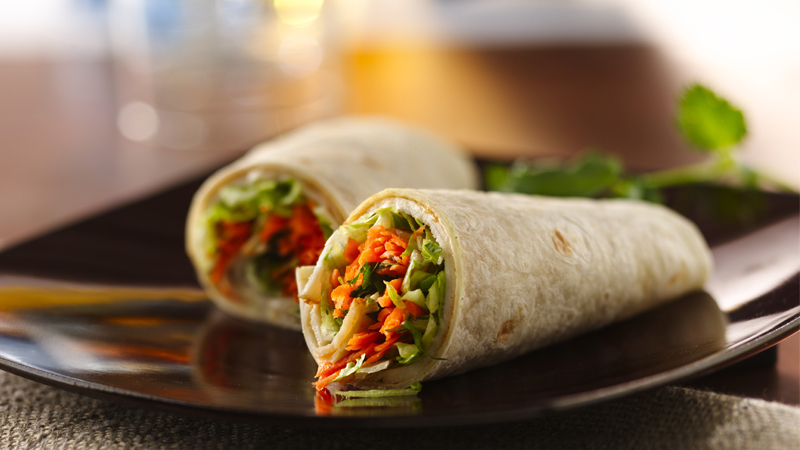 Wrap up lunch with 15 minute grab-and-go rolls. 1. Beat the peanut butter, teriyaki sauce, brown sugar, water and oil in a small bowl with a wire whisk, until smooth. 2. 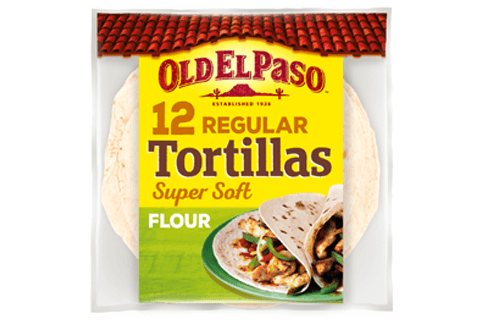 Spread about 1 1/2 tablespoons of the peanut butter mixture over each tortilla. Divide the chicken, lettuce, carrot and coriander evenly between the tortillas. Roll up and cut in half to serve. Alternatively use sliced beef instead of chicken. Add a little heat to the wrap by finely chopping 1 red chilli and stirring into the peanut butter sauce.